Autumn has definitely set in. I’m wearing gloves and I’ve been putting in exam entries left, right and centre. Theory exams with Trinity, musical theatre with LCM and a piano exam for me with ABRSM. It’s going to be a busy autumn. However, today is Friday, and that makes it time for a cuppa and the blog round up. Student Plan – Setting Goals for the Year (Practice Makes It Easy) – A lovely post reminding teachers and students alike that it’s that time of year when we set goals and targets. Click over to my post on SMART Goals for more ideas on how to set your own targets. Be More Confident at Your Next Audition by Going on a Facebook Diet (Bulletproof Musician) – The downside of Facebook for the Musician and why you it’s best to use social media in moderation! Structuring Your Piano Practice (Classical Mel) – A great post about how more advanced musicians can get more out of their practice time. Although this post focusses on piano, actually the tips work for most instruments including singing. 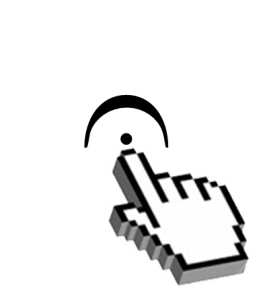 Formant Tuning and Vowel Modification (Wonders of Voice) – A short but sweet post on why we need to change the way we sing on higher notes. 5 Days of Piano Teaching Using Playdough (Teach Piano Today) – Some fantastic ideas on how to use playdough to teach theory concepts to students! What Maternity Leave? When a Piano Teacher Becomes a Parent (Teach Piano Today) – It must be something in the air, but I’ve seen some recent forum posts about maternity plans for music teachers, so here’s a good post with some really helpful tips. Free Printable: Piano Lesson Contract (The Teaching Studio) – Just like we have home-school agreements to help everyone know what they need to do to get the most out of school education, here’s a really simple way to present a parent-student-teacher agreement on what everyone will do to get the most out of music lessons. Tchaikovsky not gay? Here’s some more musical shocks for you (Guardian Classical Music Blog) – Some interesting anecdotes about recent revisionist history coming out of Russia. The Only Calibration that Matters (La Dona’s Music Studio) – Two lovely, encouraging quotes. This entry was posted in Friday Favourites and tagged friday favourites on 20th September 2013 by .